First: a base layer of white with White Matter. Then I painted a little bit of Dark Matter on to a disposable makeup sponge and dabbed off the excess on a piece of scrap paper; this made the finer speckles near the base of the nail. I painted the bottom 1/4 or 1/3 directly with Dark Matter to create the black tips. Went back to the sponge to add more black speckles to blend where I had painted Dark Matter directly on the nail. 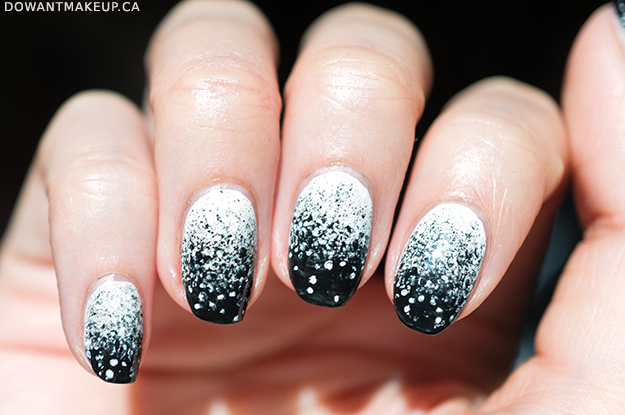 Lastly, I used a fine nail art brush to dab on the larger white and black speckles to finish blending the gradient. My thumbnail, often neglected in my posts, is the favourite. It has a good combination of fine speckling, but not too much. I did this look in December 2015 but wanted to post about the products themselves first, so technically this is my first nail art post of 2016. 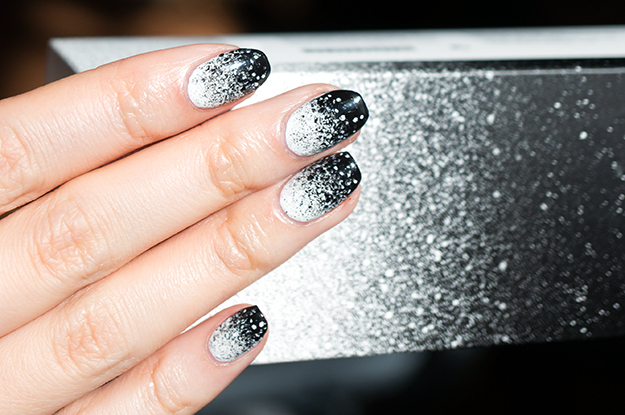 Otherwise, it definitely would have made my list of my favourite nail art posts of 2015! Like a lot of nail art that I end up really loving, I started out really unsure of how it will look. But I was really pleased by how closely it resembled the Balsem box design. What do you think? 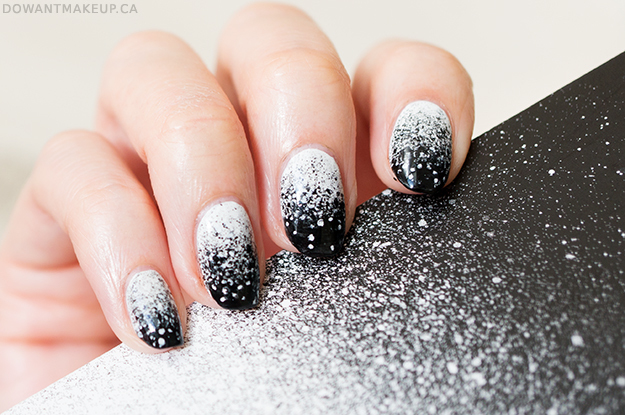 Will you try the speckled gradient for yourself? What have been some things that unexpectedly inspired your makeup/nails/fashion?